He’s at 828 walking sticks. 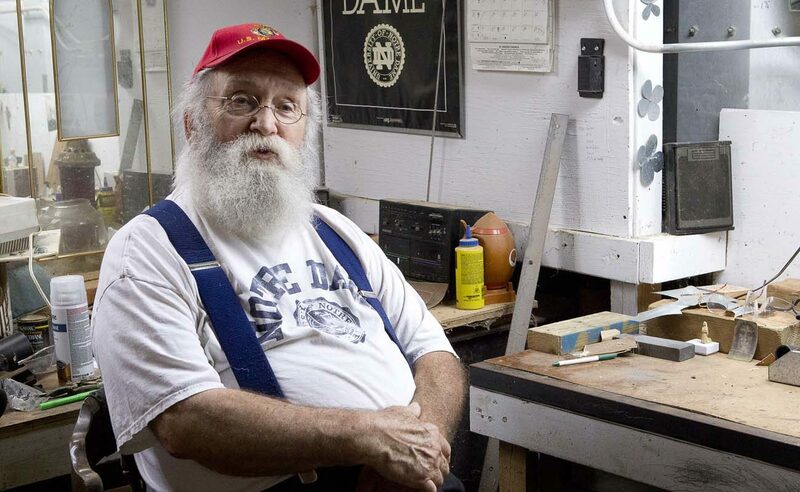 The 78-year-old stout retired sheet metal worker who looks like Santa Claus is not finished yet finding people who could use one of his sticks. “I give them to whoever God tells me to,” says the parishioner at St. Vincent Church.